Apple has filed two patents with the US Patent and Trademark Office that suggest the electronics giant is developing hydrogen fuel-cell batteries for its MacBook lines in an attempt to use more environmentally-friendly ways to power its creations. First uncovered by AppleInsider, the pair of patents (1, 2) explain that the batteries would not only be better for Mother Nature, but could also last “for days or even weeks” on a single charge. 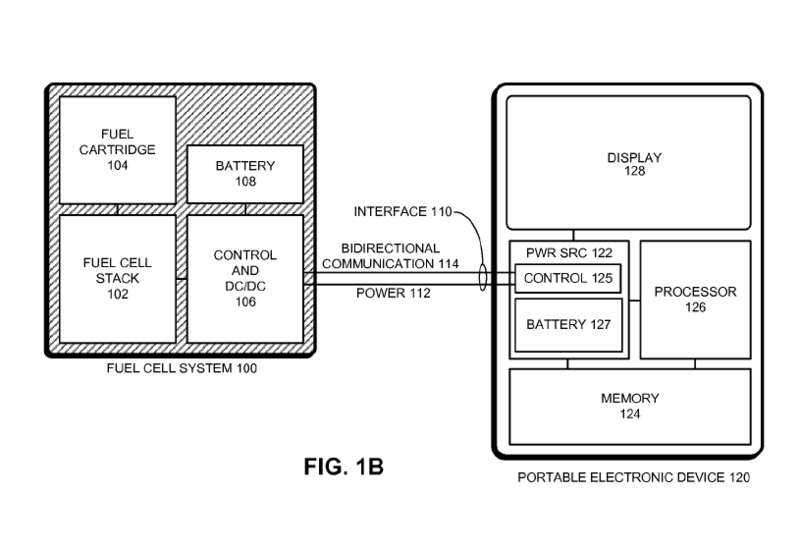 According to the filing, Apple is investigating a number of types of fuel cells. Hydrogen fuel-cells are the kind most often found in cars, but Apple points out in the filing that building a hydrogen fuel-cell system that can fit into a laptop is quite a challenge — though it’s a problem Apple is working to solve. As we all know too well, just because Apple is developing something doesn’t mean it will ever make it to market. But considering that consumers have begun to expect more environmentally-friendly gadgets, as the filing says, and that this new technology could also result in much longer battery life, it would be a shame if this dream never becomes a reality.